Warning: if you haven’t seen the movie yet, there are a few light spoilers in this blog, but none that I think will reduce your enjoyment of the movie. I went to see the movie “The Martian” last week. I had read the book, thought it was great, and couldn’t wait to see what Ridley Scott would do with the story. I was not disappointed. It’s a great piece of SciFi and a “love letter to science” as others have said. The protagonist is a botanist who uses science and rational thinking to try and save himself from a seemingly hopeless situation. realized I might be missing something relevant to the work environment. Let me explain by way of going a few years back to another book I read and how it affected my work life. For some reason, I’ve always been interested in aspects of technology and adventure in generations past. I had a special interest in the successes and failures of the expeditions that took place during the “Heroic Age of Antarctic Exploration“, roughly between 1897 and 1922. These were seen as the attempts to reach the final frontiers of the Earth-the Antarctic. Some of these attempts failed (Robert Scott’s expedition to the South Pole is the most familiar to many). 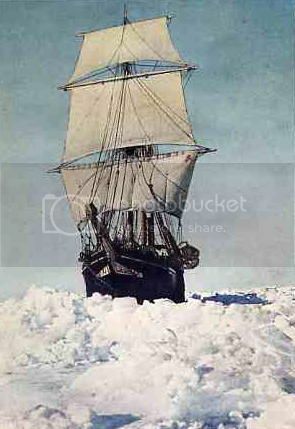 But in researching what happened during this era I came across a much more interesting failure-the “Imperial Trans-Antarctic Expedition” led by Earnest Shackleton aboard the Endurance. Without going into details, one can read the Wikipedia entry or one of the many books about it. Shackleton and his crew of 26 were stranded on the Antarctic ice for almost two years before being rescued. The story of their fight against nature and the privations they endured is itself quite amazing but made more so by the fact that everyone who was a part of his crew survived, and everyone of them declared that they would accompany this great man should he undertake another adventure. This amazing leadership story has been turned into a book, “Shackleton’s Way: Leadership Lessons from the Great Antarctic Explorer” by two business management experts. I read the book years ago, and read it again recently. It provides an insightful analysis of how Shackleton managed his crew under extreme circumstances, and applies those lessons to modern team management in all types of businesses. Sir Ernest Shackleton has been called “the greatest leader that ever came on God’s earth, bar none” for saving the lives of the twenty-seven men stranded with him in the Antarctic for almost two years. Today, people can’t get enough of this once-forgotten explorer, and his actions have made him a model for great leadership and masterful crisis management. Now, through anecdotes, the diaries of the men in his crew, and Shackleton’s own writing, Shackleton’s leadership style and time-honored principles are translated for the modern business world. Written by two veteran business observers and illustrated with ship photographer Frank Hurley’s masterpieces and other rarely seen photos, this practical book helps today’s leaders follow Shackleton’s triumphant example. Lessons I still try to apply in my work at Sogeti. So, how does this relate to the movie I just saw? While this movie was not intended to be a lesson in business leadership (and while not based on a true story like the Shackleton’s book), I found myself thinking about a lesson I could lean from it. 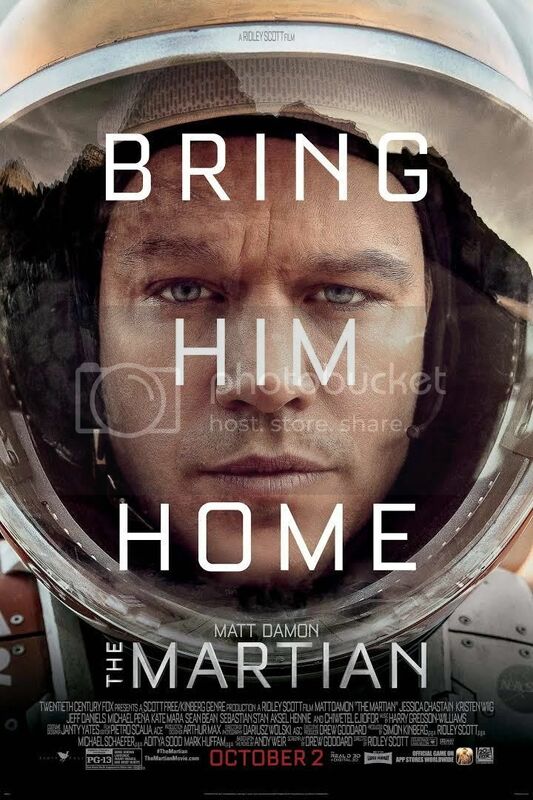 After Mark Watney, the botanist/astronaut of the story, learns he has been abandoned on Mars without hope of immediate rescue, and without any means to communicate with others, he is faced with a choice: give up or try to solve the problem of staying alive and being rescued. And, rather than allowing himself to be overwhelmed by the sheer weight of the obstacles he must overcome (food for only 300 days, no way to let NASA know he is alive, rescue only if he waits more than 900 days for the next mission to arrive, the landing spot for the next mission more than 1,200 miles away), takes things step by step. At several points in the story, he has to solve the most pressing problem facing him and leave the other, later problems (which seem impossible to solve) for another day. And this is where the lesson is to be learned. How many times have we looked (as developers, architects, any member of a team) at a complex set of overlapping problems and felt despair at the sheer weight of what must be done to achieve success? I know I have, many times. Facing a daunting set of challenges, none of which I am sure of the solution to, it has been easy to give up and declare the “mission” doomed to failure. Given himself enough time, and relying on his ability to “science the s&#@” out of the issues that face him, Watney overcomes each one in turn, not allowing himself to fall into despair or self-pity–emotional states that would distract him from what needs to be done. So, what’s the lesson I take from watching “The Martian”? Without being maudlin, or believing that no situation is hopeless, remember to take things one step at a time. Solve the most immediate problem in front of you. Don’t worry excessively about the next problem or the one after that until its time to work on each. And don’t allow yourself to sink into a state of despair about the apparently overwhelming set of problems yet to be tackled. “Science the s&#@” out of the most pressing problem and keep moving forward. I am currently the National Solution Architect, Digital Platforms and IoT for Sogeti, working from the Des Moines, Iowa office. My interests lie in the areas of micro-services, SaaS, and IoT systems.